Q9. Among the words that fans have said to you so far, which have made you the happiest? 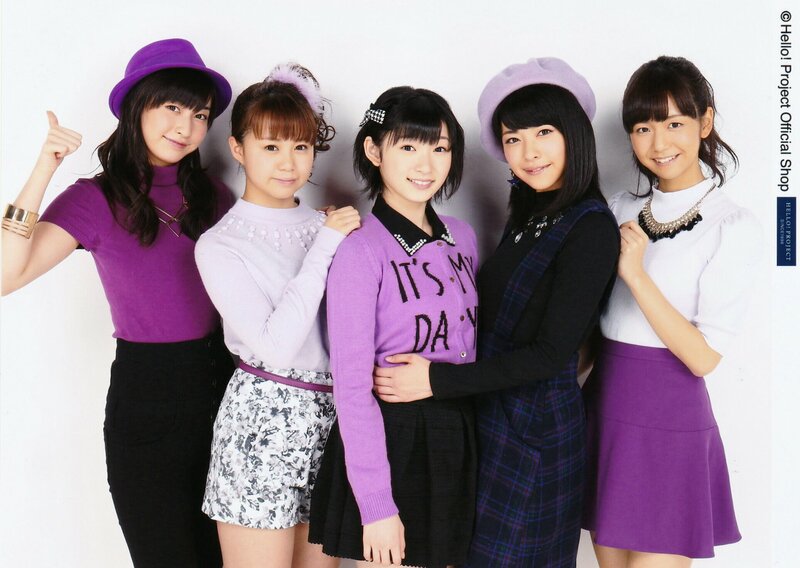 Shimizu Saki: 'I think that Berryz Kobo have got to where you are now because Saki-chan is the captain'. Even though it's expected that I'll support those around me, to be told that...... I felt like crying. Tsugunaga Momoko: 'I think that you're really cute'. While it made me think 'Eh!? Could it be that other people can't mention their true feelings!?' (laughs), those straightforward words made me happy! Tokunaga Chinami: I got a fan letter with the clichéd praise 'Tokunaga-san is a genius'! Kumai Yurina: It surprised me to be told 'I like your voice', even though I myself don't like my voice. Also, it makes me really happy to be told 'I'd like to become a woman like Yurina-chan. I look up to you' by fans of the same gender! Sugaya Risako: In the blog comments after we announced our hiatus: 'For these 10 years, you showered us fans with your love, and at the same time, we want you girls to be free, having given up various feelings to continue to shower us with your love for 10 years, we can only reply with words of gratitude' There were lots of comments written after that, but I already felt happy, I too was filled with gratitude. Nakajima Saki: I got a fan letter telling me 'No matter what happens, I'll be Nacky's ally', they were really warm words, like a mother's. It makes me think that I have to do my best, because there are people supporting me! Suzuki Airi: 'I like Airi-chan's voice'. I've got no confidence in my own voice, so I just listen to nothing but other people's voices. But receiving words like that make me feel like I should be confident. It makes me feel apologetic when I'm told 'I look up to you' (laughs), if you act like someone like me is worth looking up to, it'll make me end up not improving myself! Hagiwara Mai: I was told 'You resemble Marilyn Monroe' (laughs). Also, I was told 'I like Mai-chan's way of thinking'. Fukumura Mizuki: It makes me happy to be told that 'If Mizuki's happy, then I'm happy too-! ', and seeing blog comments like that left for my sake, they act as a reminder of the kindness of the fans. Ikuta Erina: It makes me happy to be told 'I've been cheering you on from your audition'. Because no one has any idea whether a girl will pass the auditions. So it makes me really happy to think that they've liked Erina since then. Suzuki Kanon: 'Thank you for coming into this world'. It made me really happy to be told that in the blog comments on my birthday. Iikubo Haruna: It always makes me happy to be called 'Honey'. I'm always aware of how poor I am at dancing, so when I'm told 'You've gotten good at dancing' at handshake events, it makes me happy even though I know you're being kind. Ishida Ayumi: 'Ishida Ayumi, you seemed to be having fun'. It's mentioned in blog comments after concerts or at post-event handshakes, and there are people who say it after looking at my photos. Now, I'm honestly always happy and enjoying myself, so it makes me happy, isn't it amazing that those feelings get conveyed to others? Kudo Haruka: I was really happy when I received a fan letter saying 'Because of Kuduu, I have the will to live'. It's moving, thinking that I'm needed. Oda Sakura: I received a blog comment saying 'I was so nervous at the individual handshake event that I couldn't speak at all', that action, not just at the venue, but including the blog comment as well, it was so cute my heart skipped a beat♥! Ogata Haruna: When I'm told 'Osaka representative, do your best!' It makes me really happy to talk in Kansai dialect! Nonaka Miki: It makes me really happy to be told at handshake events 'You're the one I'm cheering on the most!' It makes me want to work even harder. Makino Maria: It makes me happy to talk with fans about baseball at handshake events, being told about the state of Fighters' matches. Things like 'The Fighters are winning now' or 'I'm a fan of OO (player name) but I'll cheer for Maria-chan'. Haga Akane: Being told 'From now on, let's do our best together, okay!' at a handshake event. It made me really happy to find out that the fans really do support us. Wada Ayaka: 'Ayacho, I went to [insert artist's name]'s art exhibition' for exhibitions that I've been to, and to those who've gone to an exhibition that I haven't been to yet, they tell me a lot about their impressions. It makes me really happy!! Fukuda Kanon: Being tipped off that 'Kumai-chan talked about Kanon during the MC-!'. It makes me really happy (>_<)! Takeuchi Akari: It made me happy to be told 'I've always been cheering you on ever since you were an Egg'. Katsuta Rina: I'm happy to simply be told that you're cheering me on, but I get really happy when we talk about Harry Potter. Tamura Meimi: It made me happy when I was told 'Being an idol seems like a really tough job, but I'm cheering you on, so do your best!' at a handshake event. Murota Mizuki: It makes me really happy to be told 'I'm a Murotan oshi!' or 'I oshi you!' at handshake events. Aikawa Maho: I still haven't had many opportunities. Sasaki Rikako: It makes me really happy to be told 'That's what we expect from Sasaki Rikako-chan!' at handshake events! Miyazaki Yuka: I was a bit worried when I reported on the blog that I was quitting university, but it made me really happy to receive lots of warm words on the lines of 'We'll continue to follow you'. I don't want to betray those feelings, so I'll do my best!! Kanazawa Tomoko: 'What's good about KanaTomo isn't that you're "cute"!' This was something said by a fan at a handshake event. At the concert, I mentioned that people rarely say that I'm cute, and this was said to me at a handshake event on that day. Mere cuteness does not make an idol, I have to do my best in my own way! Takagi Sayuki: Being told 'Listening to Sayuki sing brought out my tears' at a handshake event after singing 'Magic of LOVE'. Miyamoto Karin: When I was told 'Your singing and performance lifted my spirits' at a handshake event, it makes me think that it's good that I'm in this line of work!!! Uemura Akari: When I was told 'Today is the day of Akari (the day that Edison invented the lightbulb)' through comments on my blog. Also, it made me happy to be told 'You're acting your age' at handshake events. Since I always seem older than my age. Yamaki Risa: 'You've gotten better at singing'. I still lack confidence with my singing and dancing, so being told that by the fans makes me glad, I feel like I've grown. It urges me on to work even harder! Q9. How would you like to receive the fans from now on? Morito Chisaki: I think it would be nice to receive them in an enjoyable way! Shimamura Uta: I think I'd like to love and treasure each and every person who cheers me on. I'd like to meet lots of people soon. Ozeki Mai: I think it would be nice to be able to talk with them as though we were friends rather than as an idol with her fans. You know, a lot of this is useful fodder for handshake events. Also a good time as any to bring up turbos86's handshake guide if you need a refresher. The 3 non-Kenshuusei Country Girls were given a different question, probably because they would have had limited interactions with fans at the time the questions were asked. 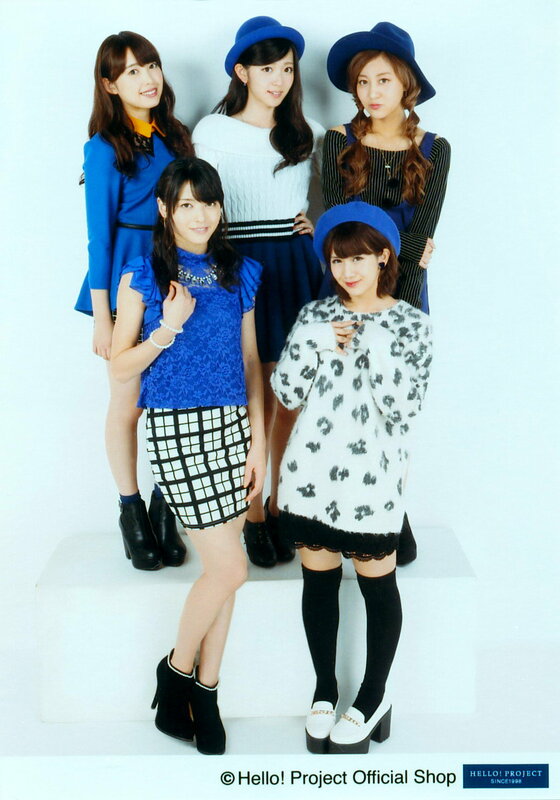 A theme that seems to run through ℃-ute's answers seem to be on the lines of 'We've got your back, so think positive, look straight ahead, and push forward'. Also, you can tell that the girls read the comments on their blogs. Or at least Risako, Ayumin, Oda, Uemuu, and almost all of MM 9ki do. Here at Pakistani Escorts, we esteem our common customers yet we in like manner welcome all the new clients that have maybe never held an Lahore Escorts.